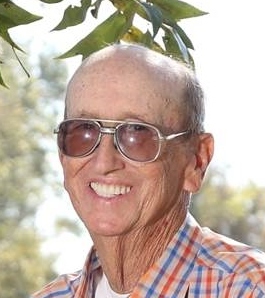 Donald Newell, age 73, of Ambrose, Georgia passed away on Wednesday September 5, 2018 at his residence following an extended illness. Mr. Newell was born on May 21, 1945 in Coffee County the son of the late Robert Newell and Maybell Sapp Newell. Mr. Newell retired from Campbell’s Soup Company and was a member of Bushnell Chapel. He was preceded in death by a brother, Roger Newell. Survivors include his wife, Hazel O’Steen Newell of Ambrose, GA; daughter, Donna Carter and husband William Wesley Carter, Jr of Ambrose, GA; step-son, Curtis Harper, Jr and wife Diann of Douglas, GA; three sisters, Katherine Green and husband Bob of Fernandina, FL, Janice Knight and husband Paul of Douglas, GA and Patricia Canady and husband Hal of Collins, GA; two brothers, Gerald Newell and wife Joann of Douglas, GA and Edward Newell and wife Rhonda of Douglas, GA; four grandchildren, William Tyler Carter and wife Jaimee, Derrick Brandon Carter and wife Kayley, Rodney Derek Harper and wife Nichole and Leslie Marie Bennett and husband Trenton; three great grandchildren, Peighton Harper, Keaton Carter and Natalie Harper; several nieces and nephews. Funeral services will be held on Saturday September 8, 2018 at 11:00am from Bushnell Chapel with Rev. Gerald Gardner, Rev. Jimmy Tanner and Michael Harper officiating. Interment will follow at Grantham Cemetery. Mr. Newell will lie-in-state on Saturday from 10:00am until 11:00am prior to the service. The family will receive friends Friday evening from 6:00pm until 9:00pm at Sims Funeral Home. Music will be by Michael Harper singing “Go Rest High” with CD backup and “What a Day that Will Be” with Lisa Swanson playing the piano. Lisa Swanson will play prelude and postlude music. Pallbearers will be Tyler Carter, Wes Carter, Derrick Carter, Rodney Harper, Curtis Harper and James Dennis. Honorary pallbearers will be church members.